Mike Woodson is a good guy, but as I talked about in an article a couple weeks ago, he is not the right coach for this team. This has been made even more obvious in the past few games. The Knicks are 2-10 in their last 12 contests. 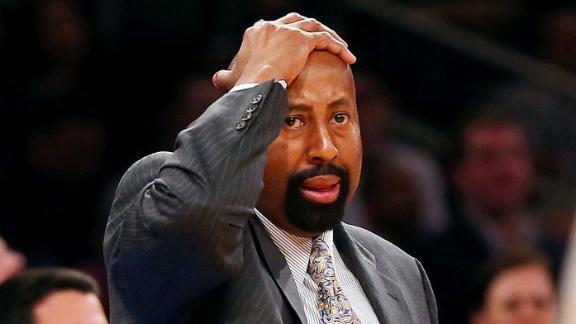 Mike Woodson will obviously be fired at season’s end. Which is why the Knicks should just do it now. Click Here to sign a petition asking for Woodson’s removal as Head Coach. Spread it with your fellow Knicks fans if you believe in the cause. This entry was posted in Articles and tagged fire mike woodson, fire mike woodson petition, fire woodson, fire woodson petition, KNICKS, knicks coach, knicks fire coach, knicks fire coach petition, knicks fire mike woodson petition, knicks fire woodson petition, mike woodson, mike woodson knicks on February 28, 2014 by Tommy Rothman.